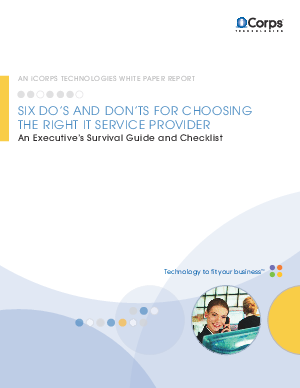 Finding the right IT service provider is not as simple as it may seem. Choosing a service provider based exclusively on low price may be good for your bottom line, but may fall short on delivering the right level of IT expertise and resource scalability for long-term advantage. Choosing a large, well-known service provider may seem like a safe choice, but could put your business at risk if that vendor cannot customize its service offerings to accommodate your unique process requirements. This white paper will provide IT executives with essential guidelines for use in determining the best IT outsource provider for their businesses-and help eliminate the uncertainty that so often clouds the process.